Now there are warming plates for photo trays, e.g. from “Kaiser” or “Hama”, but these are often quite pricey and also often too small to offer the large Lomo tank enough space for a foot bath. 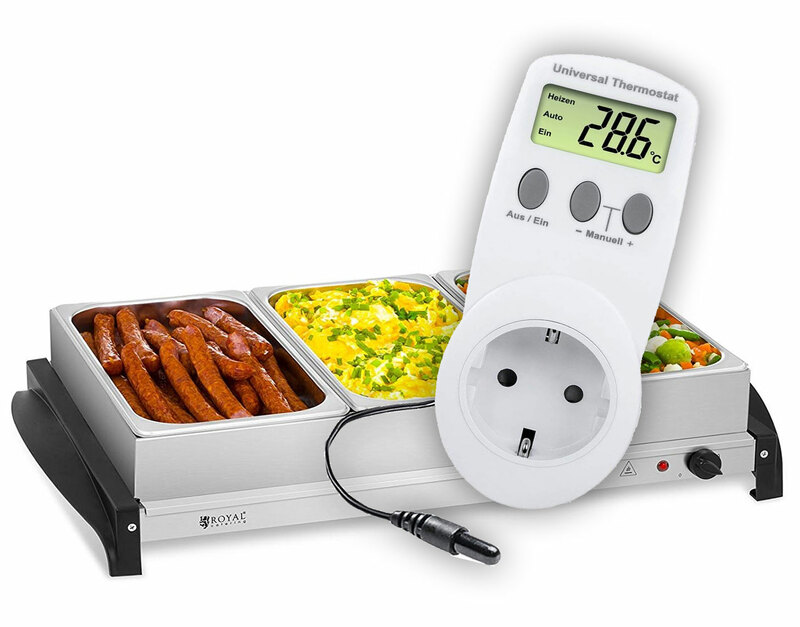 A good, inexpensive solution are electric warming plate for buffets, which are easily findable for double-digit amounts. We are not interested in the food containers, we can add those (and the metal frames that hold them) to the pile of kitchen or party accessories in the basement. We only need the warming plate, usually heating up the food containers. The first problem is easy to deal with: You get a large lab tray, as it is used to develop large photographic papers. These are often obtainable when labs close down or can be found very inexpensively in the neighborhood (Ebay, Craigslist, classifieds). Filled with water, they ensure an even distribution of temperature. Development trays with inward curved “ribs” are preferable, so that as much area as possible has contact with the food warmer. For precise temperature control, the use of a “universal thermostat” is beneficial. It is put between wall socket and the warming plate. These devices (for example, the “UT 200” and “UT 300” model, which are available for about € 30-40) have an external temperature sensor, which ensures good, precise temperature control. Warning: At least the UT 200 model is turning power on after a power outage, which can cause photo trays without water in them to melt, which is dangerous. Therefore, the device should always be disconnected from the power socket after use. Whether the UT 300 still has this conceptual flaw I don’t know.